Council Bluffs, Iowa, is located on the state's western border, just across the Missouri River from Omaha, Nebraska. Council Bluffs, formerly known as Kanesville, has a long history, including importance to settlers moving west in the 1840s. The town was a major railroad hub from the 1870s to the 1940s, and a Council Bluffs vacation can include trips to historical sites throughout the area. To get a feel for the town's history, visit Historic General Dodge House, built for General Grenville M. Dodge and the only designated National Historic Landmark site in Council Bluffs. General Dodge served in the Civil War and Congress, and was a renowned railroad builder. Check ahead—the house is closed on Mondays and holidays, and in January. For a bit of fun, head to the Golden Spike Monument on 9th Avenue. The 56-foot-tall replica of the golden spike used to complete the Transcontinental Railroad was erected in 1939 during the town's "Golden Spike Days." The monument sits on the site of the Transcontinental Railroad's zero-mile marker, nowhere near the real spike's location. 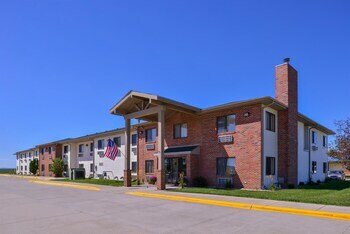 For more to see and do, look into car rentals in Council Bluffsw and drive to Lake Manawa State Park for a picnic or to the casinos on the west side of town. Try to book Council Bluffs vacation packages for the end of May to attend Council Bluffs' biggest annual festival, Loessfest. Named after the Loess Hills—rugged hills formed thousands of years ago that surround the city—Loessfest is a celebration of everything Council Bluffs has to offer, including music, movies, arts, and sports. Council Bluffs' Mid America Center arena also hosts a multitude of different festivals and events throughout the year, including model train shows, monster truck rallies, and concerts. 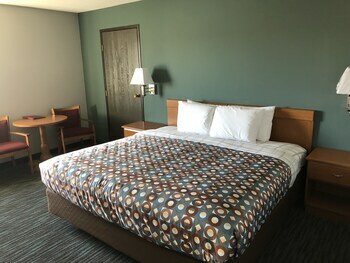 If you're looking to get the best deal on Council Bluffs hotels so you can check out this quintessential small U.S. city for yourself, Council Bluffs packages from Travelocity are the way to go. Download the Travelocity app for mobile exclusive deals that allow you to save even more! 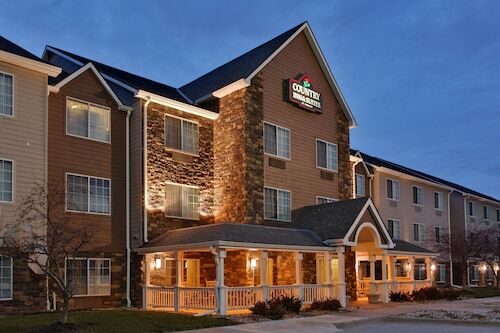 Situated in Council Bluffs, this hotel is within a 10-minute walk of Mid-America Center and Horseshoe Council Bluffs. Joe's Karting and Dodge Riverside Golf Club are also within 3 mi (5 km). 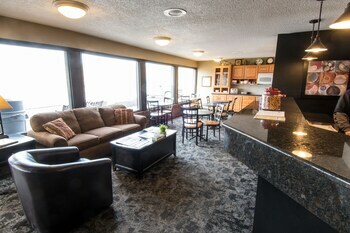 Situated near the airport, this hotel is within 1 mi (2 km) of Bob Kerrey Pedestrian Bridge and TD Ameritrade Park Omaha. CenturyLink Center Omaha Convention Center and Orpheum Theater are also within 3 mi (5 km). Located in the heart of Council Bluffs, this eco-friendly hotel is 0.3 mi (0.5 km) from Dodge Riverside Golf Club and within 3 mi (5 km) of Horseshoe Council Bluffs and CenturyLink Center Omaha Convention Center. Mid-America Center and TD Ameritrade Park Omaha are also within 3 mi (5 km). 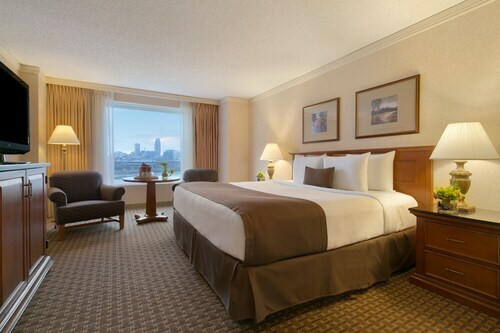 Situated near the airport, this hotel is within 3 mi (5 km) of Bob Kerrey Pedestrian Bridge, CenturyLink Center Omaha Convention Center, and TD Ameritrade Park Omaha. Orpheum Theater and Creighton University are also within 3 mi (5 km). 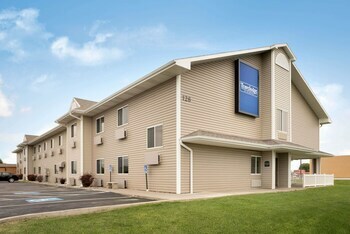 Situated on a river, this hotel is within 3 mi (5 km) of Joe's Karting, Horseshoe Council Bluffs, and Mid-America Center. Dodge Riverside Golf Club and Tom Hanafan River's Edge Park are also within 3 mi (5 km). 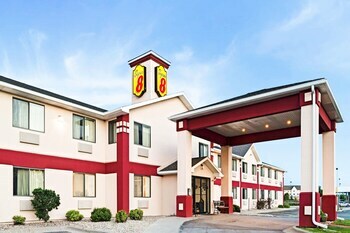 Situated in Council Bluffs, this hotel is within a 15-minute walk of Joe's Karting and Mid-America Center. Horseshoe Council Bluffs is 0.8 mi (1.3 km) away. 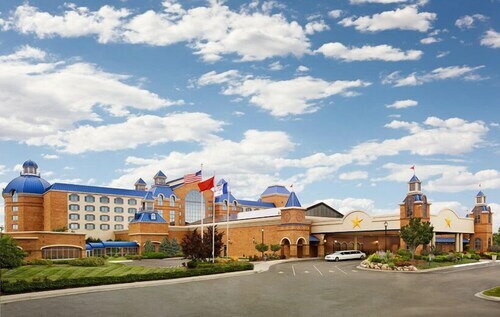 Located in the heart of Carter Lake, this hotel is within 3 mi (5 km) of Bob Kerrey Pedestrian Bridge, CenturyLink Center Omaha Convention Center, and TD Ameritrade Park Omaha. Orpheum Theater and Creighton University are also within 3 mi (5 km). 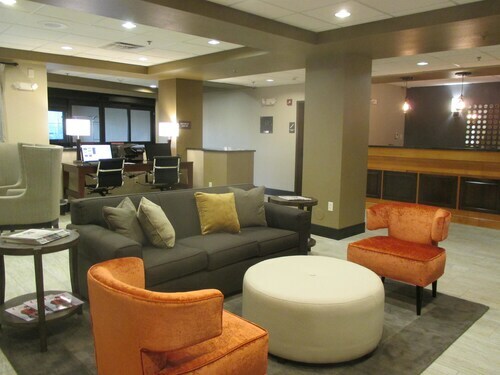 Situated near the airport, this hotel is within 2 mi (3 km) of Bob Kerrey Pedestrian Bridge, CenturyLink Center Omaha Convention Center, and TD Ameritrade Park Omaha. Orpheum Theater and Creighton University are also within 3 mi (5 km).